Tagg Plus GPS Tracker is the latest version of this bestselling pet tracker. The reason it is included on our list of best activity monitors is because it also has a pretty handy fitness tracker. So you are getting two for the price of one. Whistle doesn’t knock it out of the park with this model, but it does have some great features and good reporting that will go a long way in helping motivate pet owners to get their dogs active. The battery life of the Tagg Plus is supposed to be anywhere from 10 to 30 days after a three hour charge on a charging station, although some reviews have reported that the device doesn’t quite live up to the manufactures claim and needs to be recharged more frequently, which isn’t the best for this type of unit. 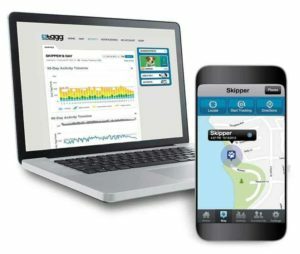 The big drawback to getting this device to use as an activity monitor is that you will have to sign up for the subscription service which runs around $7 a month. 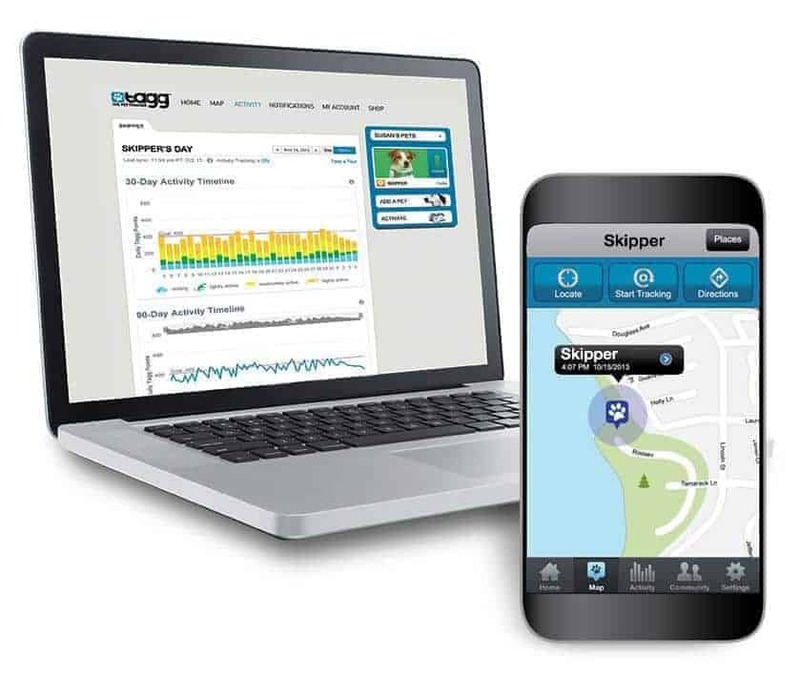 The pet tracking aspect of Tagg is good; it gives you a good indication of just how active your pet is and can motivate pet owners to be proactive about their health and exercise. 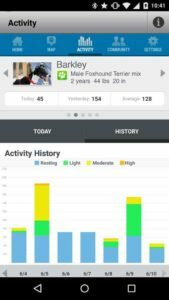 You can easily view the reports to find out if your pet is getting enough exercise. 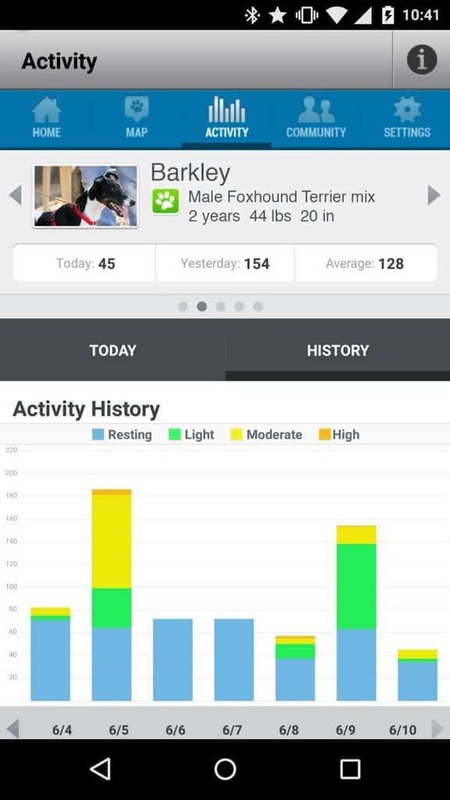 You are also able to set goals and compare your pet’s day-to-day activity levels. The Tagg Plus does have a number of other cool features including the ability to add several people to your account so multiple people can receive texts or email alerts if your pet goes missing.